Ever wanted to watch a Fish hadouken? Well, now you can… Kind of. In the recent trend of watching fish play games, started by Fish Plays Pokémon, the latest game to continue this is Fish Plays Street Fighter. Yeah, really. 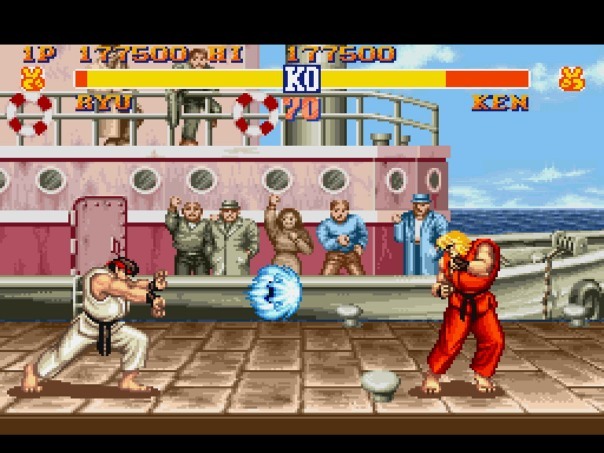 It sounds absolutely ridiculous but, even though I’m not the biggest Street Fighter fan out there, I was mildly entertained whilst watching Guile fight Dhalsim. Whilst I never thought I’d see one fishing managing to throw their on-screen opponent, I’d happily wager a good amount of money that they’ll soon be able to pull off more impressive moves than I ever could. This is all achieved by pointing a camera at the fish ( two fish to be precise- Aquarius and Robert The Bruce) , tracking where the fish are and equally dividing areas into different button inputs. To the individual with far too much time on his/her hands, I salute you. Come check out the stream here. Can a fish even pull a hadouken off? UPDATE (21/08/14) Aquarius (p1) has just picked up a sponsor, professional fighting game team Always Godlike.